Whether you were born and raised in New Jersey or moving to Springfield for its high quality of life, Metro is here to help make your storage experience efficient and hassle-free. Entirely indoors, and 100% climate-controlled, Metro Self Storage offers exceptional security features and excellent customer service. Choose from a wide selection of storage units that range in size from small 5X5 to large 10X35 commercial storage units. With several sizes in between, there is sure to be a storage unit that is ideally suited for your belongings. Whether you are managing a moving project or simply need to store seasonal items, we make storage simple. Our month-to-month leasing gives you the option to store for any length of time you decide, and online account management is quick and convenient. Our easy-to-reach location at 22 Route 22 West, serves Springfield, Millburn, Kenilworth, Westfield, Cranford, Mountainside, Summit, Essex County, South Orange, and Newark. Additionally, you can feel confident when you store with Metro Self Storage because your stored items will be behind an electronic gate, inside a secured building, and monitored by 24-hour security cameras. We make it easy to move in with Metro, and invite you to drop by at your convenience to meet us in person and preview our Springfield storage facility. Ranked as one of the best places to live in the Garden State by New Jersey Monthly magazine, Springfield is a great place to live, work, and play. Whether you are moving, downsizing, or simply decluttering your home or business, you probably want the best storage solution to keep your valuables safe and in their original condition. 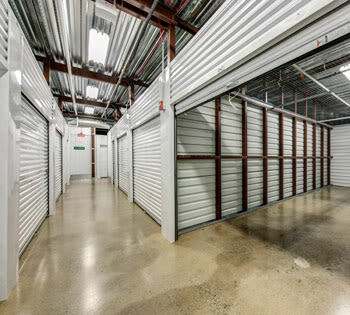 Selecting an indoor climate-controlled storage unit at Metro Self Storage will help you to protect the belongings that mean the most to you. Our friendly and attentive storage team is happy to answer all of your questions about self storage and will be pleased to help you determine if climate-controlled storage is the right choice for your items.